The best foot baths will allow you to have that spa style pedicure in the comfort of your home and without all the spa associated costs. There are many foot baths to choose from, some geared at doing things other than providing you with a warm bath for your feet. Some are basically just a basin, while others get fancy offering infrared and much more. You want a foot bath that is much more than a foot soaker. A good foot bath will have heat functionality so you won’t have to heat the water ahead of time or in a separate container. These units allow you to simply power water from your tap into the unit and then the unit will heat up the water for you. Good baths will maintain the temperature of the water as long as the unit is in use so you never have to worry about the water getting cold. Another feature of a top quality foot bath is the presence of nodes or rollers on the bottom to provide the bottoms of your feet with a bit of a massage. You can also find baths that use oxygen bubble therapy or vibration to give you a massage to add to the experience. There are some baths that will have multiple massage features so you can change the frequency of the vibrations and movements of the unit. This is great as you can alleviate pain and aches or you can simply rejuvenate tired feet. Another feature of a top quality foot bath is portability. You have units that may have removable insides so you can carry that part of the unit around. There are also those that have built in drainage systems so you don’t have to worry about carrying around a large and heavy water laden unit. Units that are portable are easy to drain and carry and store. You want to choose a basin that will be easy to operate. You can find units that have toe controls so that you don’t have to bend over to operate them and can simply use your feet. These types of baths allow you to even change the settings while you are already using the unit. The machine that is easier to use will be a joy to use and you will most likely use it more often so you will definitely get your money’s worth. You want your unit to offer you value for money and so you want to choose a foot bath that is highly durable. Look for those that are made with plastic that is age and temperature resistant. You want to compare prices and features to see what features you get in what price range to ensure you are getting value for money with your chosen foot bath. With a foot bath in your home you can save money from going to the spa and take the spa like experience straight to your comfort zone. You will be able to unwind and even take care of health issues that can be taken care of with a foot bath. How else can you benefit from having a foot bath in your home? Reduce Stress – the use of a foot bath triggers the solar plexus reflex which is integral to the body’s ability to manage stress. It helps with not just localized stress in your feet but also with mental relaxation as well. Detoxification – foot baths can help to detoxify you by their ability to help improve your blood circulation. 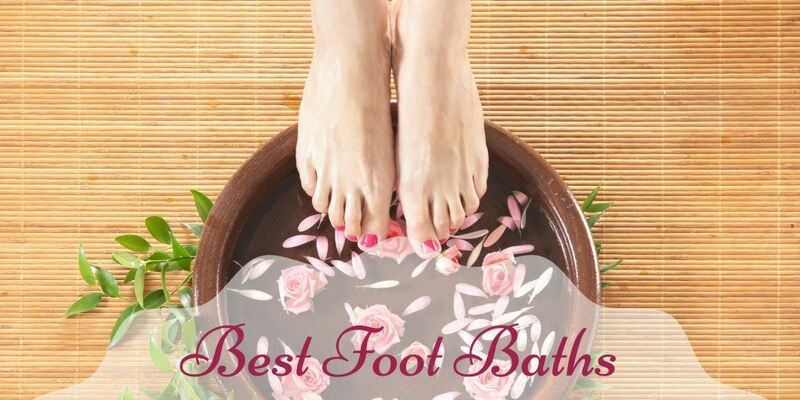 Boost Energy – another benefit of foot baths and their ability to improve your blood flow is that improved blood flow will also give you an energy boost to go about your daily activities in better spirits. Reduce Depression – after a relaxing foot bath you will have more peace of mind and will be more relaxed. With more blood flow through your body, you will also realize that you will be in an overall better mood. Each foot bath will come with its own set of instructions on how to use. You should always follow the manufacturer’s instructions especially when you have a high tech unit with a lot of features. Most machines just require you to add water, turn on the machine and place your feet inside. However machines with more spa-like features may require different procedures. Regardless of which unit you choose here are a couple general guidelines to follow prior to using your foot bath. 1. Gather all the items you will need such as towels, foot scrub, pumice stone, lotion and the foot bath and place these in the area you plan to relax in. 2. Before placing your feet into the foot bath you want to ensure that they are thoroughly cleaned. Once the above are met you can go ahead and follow the manufacturer’s instructions on how to use the particular foot bath that you own. The Kendal MS0810M is a spa-like foot bath that uses heat therapy and bubbles to provide you with the best experience. With high frequency vibrations this unit will work the muscles of your feet and soothe aches and pains in your ankles and even in your calves to help relieve fatigue after a long day on your feet. The bubble action and vibration help to promote better blood circulation which in turn gives you a boost in your metabolism. This foot bath is made specifically for home use and so it is designed to be compact, convenient and easy to use. While it has a compact design it still can accommodate men’s feet up to size 14. Made from heat resistant plastic you know that this machine will stand the test of time and will not warp or change shape when used with hot water while providing you with complete relaxation and comfort in the comfort of your home. This foot bath from HoMedics is a great option if you have overworked and tired feet. It features soothing bubbles along with gentle vibrations that will help to relax your muscles and relieve any muscles that are tight. This unit is complete with a pedicure center so that it provides therapeutic benefits as well as aesthetic benefits as well. The pedicure center includes four different attachments for different use. The bath itself features four massager rollers and LED lights help to promote relaxation while the unit is in use. You will love the HoMedics FB-600 because it is so easy to use. Once you start it up, it will heat up in a matter of minutes and will keep the temperature constant throughout the entire duration of use. It has a good capacity with the ability to accommodate larger foot sizes. It can be used with oils and salts which can provide an even more spa-like experience in your home. The Brookstone heated aqua jet foot spa is a very nice in home unit. It features an oversized tub so you are certain that it will accommodate even the largest feet. It is made from durable materials so that it does offer quite a bit of value for money. This heated foot bath is very effective in helping to relax your tired foot muscles. It will help to improve the circulation of blood in your feet and will allows have a neuropathy effect as well. The foot bath can heat your water and keep it at a constant heat for the entire duration of your at home spa session. It comes with rotating jets and two speeds so you can really customize the type of treatment based on how bad your feet are hurting. The machine even comes with a remote control so that you can easily change settings while you are enjoying your foot soak without moving out of your comfortable position. The Kendal FBD1023 foot bath features a rolling massager along with oxygenated therapy, a remote control, timer and digital temperature display. This unit is a great all in one unit to take care of your tired and sore feet. The two massage rollers help to encourage better blood flow which in turn will alleviate soreness and fatigue and help to give your metabolism a boost and help improve your lymph circulation. The foot bath also stimulates the pressure points on your feet which affect the lower body according to Chines Qi philosophy. The foot bath allows you the opportunity to adjust the temperature to your liking anywhere between 60 and 118 degrees Fahrenheit. The water fills into the unit is a cascading waterfall feature which will massage your feet and calves as the water sprays over them. The water jets along with the air bubbles help to stimulate your feet and sooth them at the same time. The Ivation multifunctional foot bath is what you need to relieve your worn out and sore feet after a long week or day. It offers massages for your heels, ankles, arches and your toes. It is a great choice for athletes and anybody who spends a large amount of time on their feet each day. The unit offers intense vibrating massage for your weary feet with the motorized rollers. There is also the feature that offers oxygenating bubble action that helps to relive pain and pressure in your feet. Bubbles are created by the multiple water jets included in the foot bath. You can add essential oils to the water if you want to improve your session to a more spa like feeling one. This foot bath has the capacity to heat up water to 122 degrees Fahrenheit. You have the utmost control over the temperature so you can get different benefits of different heat levels such as helping with swelling and redness or more. The unit features a sophisticated interface with an LED display and the opportunity to make different selections through the multifunctional set up of the foot bath. It also comes with a brush along with acupressure pedicure attachments to be used to enhance your experience even more. We have given you our opinion on the best foot baths on the market. You should however take the time and go through customer reviews for each unit to see what those who own the product have to say about it. If we had to pick one of these we would recommend the Ivation Multifunctional foot bath as it comes with a number of additional attachments and offers up a LED display and digital temperature control along with a built in timer. It is a great item to provide you with a way to unwind at the end of a rough day. We think it is truly a wonderful foot bath and one of the best foot baths on the market and as such we highly recommend it.